I was glad that I bought this shade. I was expecting it to look darker than on the box, seeing as my hair was red before putting cyber purple over it. Yet it came out bright. Not TOO bright. The best Schwarzkopf colour so far. The general public love touching my hair, and compliment my cyber purple hair. Response from Schwarzkopf LIVE: Hi Kayleigh, thanks for taking the time to leave your review :) To avoid colour build up on the lengths of your hair, you should follow the root regrowth application every 4-6 weeks as outlined in the Instruction Leaflet. If you need more help and advice, feel free to give our Schwarzkopf Advisory Service a call on Freephone 0800 328 9214 and one of our expert colour advisors will be happy to help! I tried this colour. It looked ok for a while but it had no purple tone. From the box I was expecting a better shade of purple. Response from Schwarzkopf LIVE: Thank you for your review Amanda! 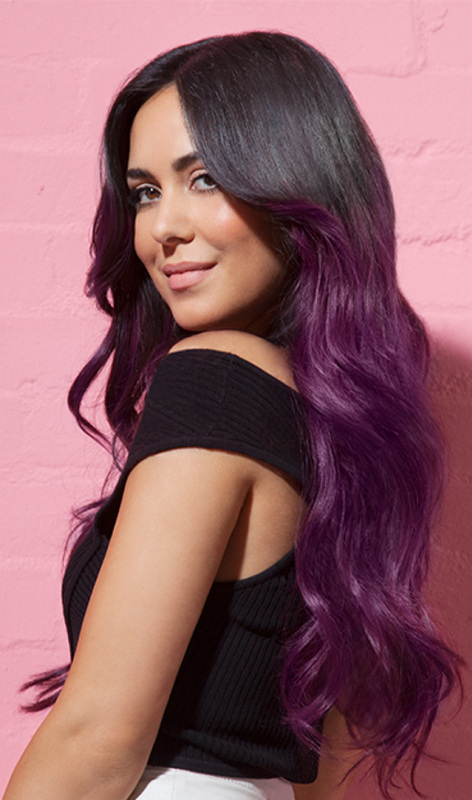 Cyber Purple can be found in Tesco, Asda, Boots & Superdrug stores. Hope this helps! Response from Schwarzkopf LIVE: Thanks so much for the review Josie! The best way to contact us is via our Freephone number 0800 328 9214 or e-mail consumer.advisory@henkel.com and an advisor will be happy to help!